Australian robo-advice companies will need at least one responsible manager to comply with training and competence standards and they will need to show that they are regularly monitoring and testing their systems. The Australian Securities and Investments Commission (ASIC) has issued a consultation paper setting out its approach to the regulation of digital financial advice, or robo-advice. Regulation of robo-advice is also under consideration in the current review of the Financial Advisers Act (FAA) in New Zealand. In its consultation paper, ASIC says it supports the development of a healthy and robust digital advice market, which has the potential to offer convenient and low-cost advice services. “In an environment where only 20 per cent of adult Australians seek personal advice, we think that digital advice has the potential to offer an attractive service to clients who may not otherwise seek financial advice,” the consultation paper says. 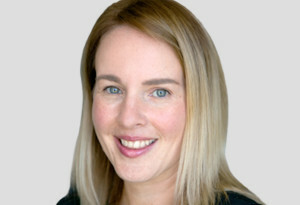 The regulator says the law is “technology neutral” but the provision of digital services raises some policy issues, such as how organisational competence obligations should apply in a digital advice context and the steps licensees should take to monitor and test the algorithms underpinning the advice. ASIC has proposed that to comply with the organisational competence obligation of the Corporations Act, digital advice licensees must have at least one responsible manager who meets the minimum training and competence standards for advisers (which are set out in ASIC’s Regulatory Guide 146). ASIC plans to give licensees a transition period of six months to meet this requirement. ASIC has also proposed that licensees will have to ensure that the algorithms underpinning the advice are properly designed, monitored and tested. ASIC says it will issue guidance on how this is to be done and has asked the industry for feedback on how detailed this guidance should be. It may require a certification process and third-party monitoring and testing. King & Wood Mallesons partner Kate Jackson-Maynes says robo-advice companies have a number of common concerns when they seek advice about how to deal with the regulator. Jackson-Maynes, who was on a panel discussing digital advice regulation at ASIC’s Annual Forum last week, says companies want to be sure they have made it clear to investors that they are offering general or personal advice and they want to be sure their disclaimers are effective. “A lot of work goes into how to form customer expectations about what is being offered and then put that in a digital context,” Jackson-Maynes says. The lead ombudsman for investment and advice at the Financial Ombudsman Service, June Smith, says it is important for robo-advisers to have appropriate warnings and a triage system to ensure that clients for whom the service is not appropriate are filtered out. Smith, who was also speaking at the ASIC forum, recommends that the industry develop a code of practice. “Not everyone is financially literate and they may not know what they are getting into,” she says. Smith says one of the challenges for the sector will be maintaining good records. Transaction records are vital for resolving disputes but comprehensive record-keeping does not fit well into a low-cost service model. The chief executive of the robo-advice company Stockspot, Chris Brycki, says his company’s approach is to look at each new client “manually” and check that the service is appropriate to their needs. He says this is one way the company is able to avoid “click risk”, where clients agree to the terms and conditions and other disclosures without actually reading them. “It is a challenge. You have to have mechanisms in your system to reinforce important messages,” he says. Jackson-Maynes says she sees further issues arising for regulation of the sector as robo-advisers start to incorporate gamification techniques and other digital tools into their services. Last week ASIC also signed an agreement with UK counterpart, the Financial Conduct Authority (FCA) to offer fintech firms “more support from financial regulators as they attempt to enter the others’ market”. Additionally, the Australian regulator released a report outlining conflicts of interest in the “vertically integrated businesses in the funds-management industry”. ASIC report 474 found “that on matters of outsourcing, product selection, remuneration and board membership, there may be areas where financial services organisations could better demonstrate a commitment to managing and, where appropriate, avoiding conflicts of interest”.